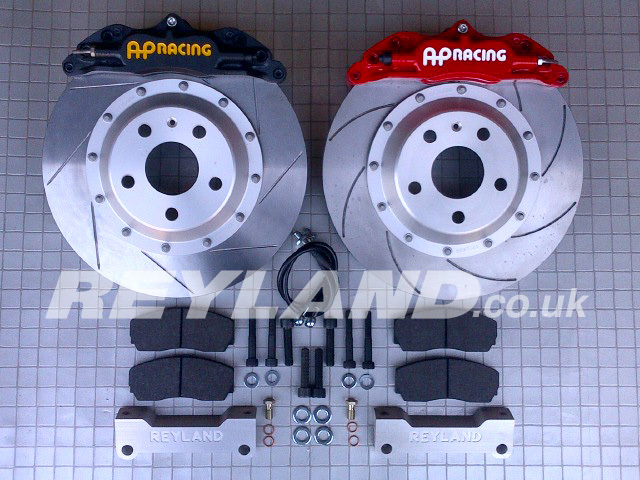 The Reyland Track 330 front brake conversion features 4-piston AP Racing CP9200 calipers, two-piece 330x28mm precision ground discs and Reyland mounting brackets and bells. The kit is supplied with all required parts including discs, pads, bolts, brackets, braided brake hoses and unions. Fits inside the OE 18" wheel on Mk5 Golf. The Reyland Track 330 front brake conversion features 4-piston AP Racing CP9200 calipers, two-piece 330x28mm AP Racing discs and Reyland mounting brackets and bells. The kit is supplied with all required parts including discs, pads, bolts, brackets, braided brake hoses and unions. Fits inside the OE 18" wheel on Mk5 Golf. 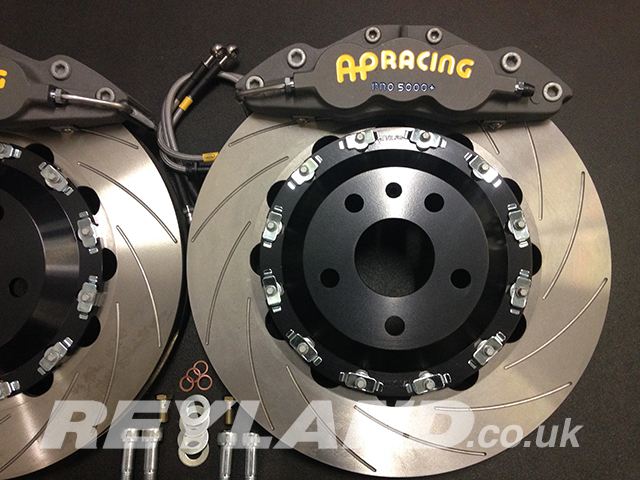 The Reyland Track front brake conversion features 4-piston AP Racing CP6600 calipers, two-piece 350x30mm discs and Reyland billet alloy CNC machined mounting brackets and bells. The kit is supplied with all required parts including discs, pads, bolts, brackets, braided brake hoses and unions. Disc surface options: straight grooves, curved grooves and J-hook. 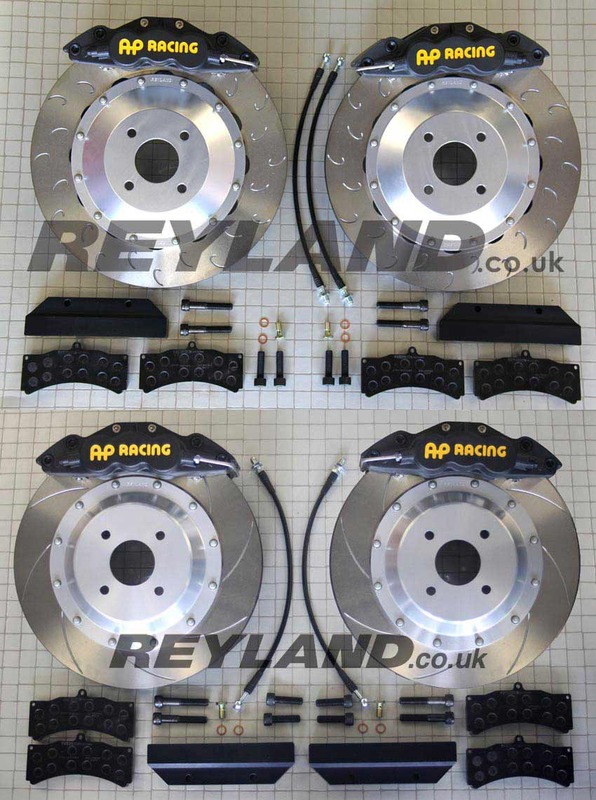 The Reyland Pro front brake conversion features 6-piston AP Racing CP8522 Radi Cal calipers, two-piece 380x34mm Reyland curved vane rotors, Reyland mounting brackets and bells. The kit is supplied with all required parts including discs, pads, bolts, brackets, braided brake hoses and unions. Floating disc to bell mounting is standard. A suitable sized wheel is essential.